Measuring 99,600 hectares in size, the Tubbattaha Reef National Marine Park (TRNMP) is made up of 2 atolls rising in the middle of the Sulu Sea. A Study by Conservation International has confirmed what Scientists long theorized, that it is the nursery for fish and coral larvae that populates the Sulu-Sulawesi Triangle – an area that not only covers the most important and productive fishing grounds of the Philippines but extends as far south as Malaysia and Indonesia. December 2008. The idea came to invade the mysterious depths of Sulu seas, when Angel and I planned and pledged ourselves for Dive Tubbataha 2010. They said it’s the holy grail for divers in the country and you can never be an accomplished one unless you explored its depths. But more than proving to ourselves and counting sites visited, we wanted desperately to experience and catch sight of the glorious beauty of this elusive paradise – an epitome of the exquisiteness of creation! Our plans were put in order: dive as often our schedules and pockets can allow, earn course necessary to increase our capacity, acquire necessary gears, learn lessons from every dive we had, and more. Enjoying every bit of the journey towards this dream. The banner of “Dive Tubbataha 2010” brandishing Angel’s travel log since early 2009. December 2010. Two years exactly when Angel and I both pledged ourselves to this promise like a covenant. The message came unexpectedly, without any hint through a priest. I was diving one quiet Sunday for my last dive of the year, just six days before Christmas. Fr. John Young, SJ whom I just met, simply asked if I want to join them in their Tubba trip – I was caught off guarded – surprises always come in unlikely situations. That was my greatest gift last Christmas, indeed real gifts don’t come on packages and bows! I have to relay the news to Angel, as always I had the last word for our dive trips – he simply threw it back to me to decide. I waited for about two weeks to listen if we’d really go. It is expensive and it would mean some preparations to be put in order in just four months – it meant stretching budget in the next months when we have other scheduled trips already. Now, just barely seven weeks before our cruise on first week of May I can’t help being excited for the journey, though I don’t want to spill any hint of excitement! 😛 I’m writing this note to set a milestone, the wait wasn’t really long and I thank the Lord for granting this favor and for always working out things for me in countless times – in His own terms. A passion burning incessantly in my inner core. Dear Tubbataha, here we come! Pingback: A Cruise for a Lifetime « Life Beyond the Depths! Pingback: Tubbataha Waterworld « Life Beyond the Depths! Pingback: Thrills of Tubbataha Trails (Part I) « Life Beyond the Depths! Pingback: Thrills of Tubbataha Trails (Part II) « Life Beyond the Depths! 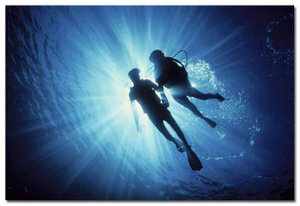 Pingback: Experience Tubbataha Reef Diving in Palawan From A Lady Diver's Angle - Let's Palawan!